Apple co-founder Steve Jobs was buried on Friday in Alta Mesa in a memorial park shared by some pioneering technologists he admired, according to Forbes. Forbes, citing Jobs' death certificate released Monday, reported that the Alta Mesa Memorial Park in Palo Alto where Jobs was laid to rest Friday is also the burial place of Hewlett-Packard's David Packard, whose partner and co-founder William Hewlett gave Jobs his first summer job. As a 12- or 13-year-old boy, Jobs later recalled, he telephoned Hewlett to ask about a part missing from a device he was building. After chatting with Jobs, Hewlett offered him a summer job on an HP assembly line, which Jobs likened to being "in heaven." Also buried at the park: country musician Ernie Ford, Grateful Dead member Ronald McKernan and engineer Lewis Terman, a mentor of Packard and Hewlett, according to website Find-A-Grave. 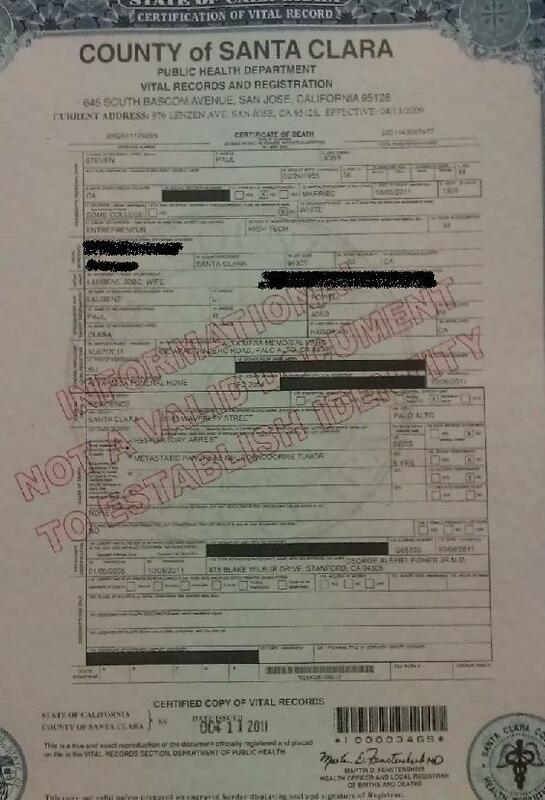 According to the death certificate, Jobs suffered from a "metastic pancreas neuroendocrine tumor" and died of respiratory arrest Oct. 5 at 3 p.m. His occupation was listed as "entrepreneur."